Maruti is readying a long drawn onslaught of hatchbacks which will also include a facelifted version of their Ritz in 2015, says a report from Financial Express. Not many would be aware that the Maruti-Suzuki Ritz started its life with the name of Splash. It was a model intended to be spun around in the city, and was showcased as a Concept in the Paris Auto Show of 2006. The production model made it to the Frankfurt Motor Show, and quite soon the car started selling in Europe as well as in Japan from 2008. It had to be christened the Ritz in India since Ford had already registered the name Splash here. To fight back the advent of the newer horde of cars such as the Volkswagen Polo, Fiat Grande Punto and the Honda Jazz and to share the load on Swift, Maruti-Suzuki began the proceedings of the Ritz in India in 2009. Few changes were made to make the car Indianised, or rather worthy of withstanding the harsh Indian conditions. The notable one was the raising of the ground clearance by 30 mm compared to the parent model, the Splash. With its unique styling features, one of them being the kinked rear, the Ritz gathered a sizeable following. 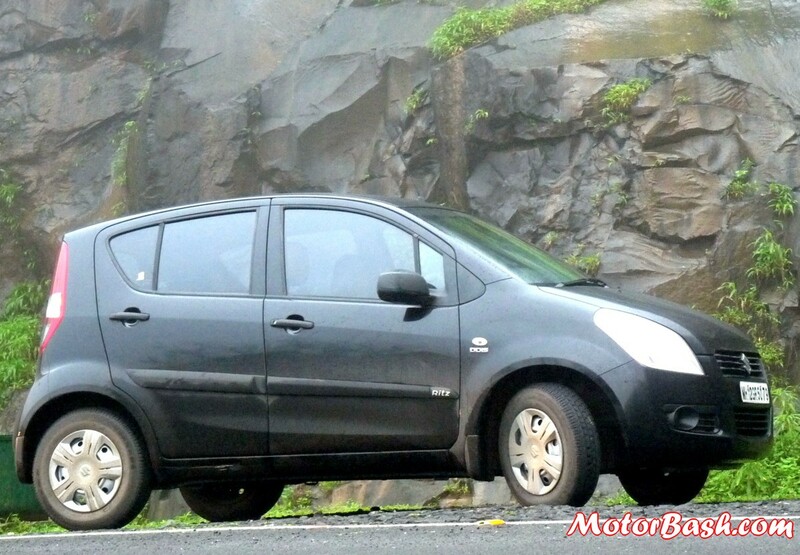 Ritz has been a fair success story for Maruti-Suzuki. It has accomplished quite a feat without any pompous advertisements; reports suggest that as many as 2,00,000 Ritz cars were sold within the last 3 years. 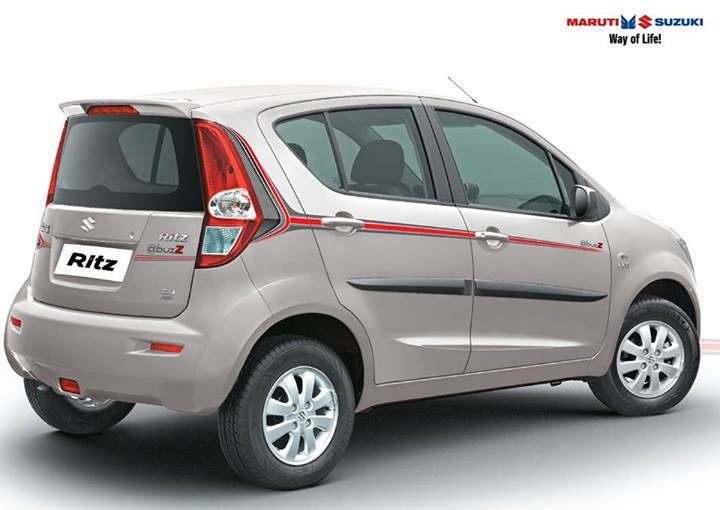 2015 – Ritz Facelift to make its way to the Indian roads! Ritz is currently available with two engine options, a 1.2 liter K-Series Petrol mill that churns out 87 PS of peak power and transfers 114 Nm of peak torque to the front wheels. The other option is the 1.3 liter FIAT Multijet Turbo Diesel motor which manages a peak power of 75PS and whips up a brilliant 190Nm of peak torque. Since the 2015 unveiling will be a facelift, we don’t expect these powerplants to go through any major change. What about an All-New Ritz? This is a question that many of you might have felt whirring in your heads. Unfortunately, there is no word about it at the moment. The Financial Express report does mention about an All-New Swift, but it just doesn’t talk about Ritz. Now,there could be a possibility that Maruti will always want its Ritz to play a second fiddle to Swift and continue without any All-New model at all. On the other hand, this probability of Maruti deciding it a little later also remains. Maruti-Suzuki will launch a facelifted Swift in next year and an all-new version sometime in 2017 (Read Report here). Since the Ritz has been doing a good job of complementing the Swift’s sales, we feel Maruti-Suzuki’s designers and engineers will focus their attention on the Ritz only after the job at hand gets accomplished, i.e. the Swift. There is also a good probability that one of Maruti-Suzuki’s under-development, indigenous engines could be placed beneath the hood of the all-new Ritz. europe.will it also close in india or not? if it will close then can i buy ritz model this month? 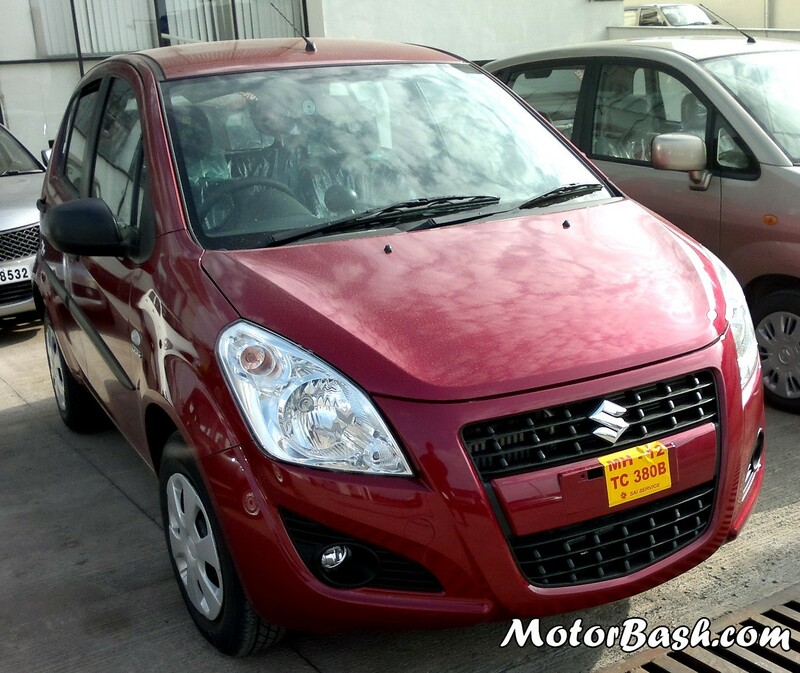 There is a possibility of Maruti discontinuing Ritz in India. However, at its current prices and discounts it is one of the best hatches in India in terms of VFMness..